What a card: Walt Terrell arrived with the team that won the World Series two months prior in a trade that sent third baseman Howard Johnson from the Tigers to the Mets on Dec. 7, 1984. 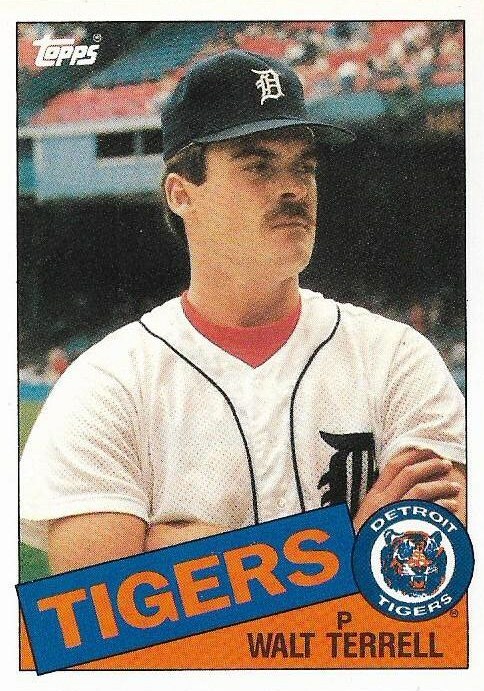 How'd that go: Terrell would post double-figure wins for the Tigers for three straight years between 1985-87. 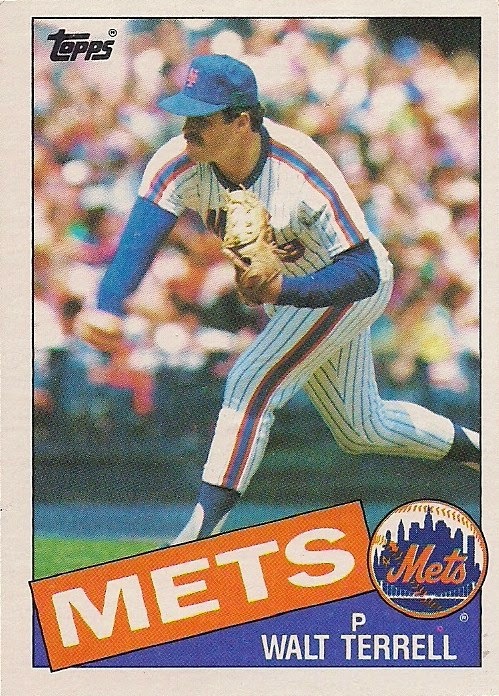 Backatya: You can see why the Mets called up Terrell from Tidewater in 1983 -- 10 wins in 12 starts. 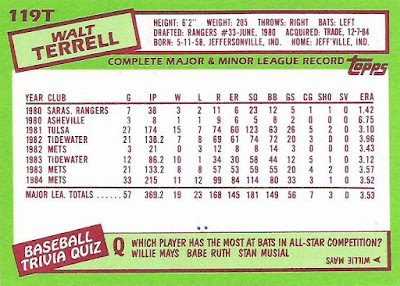 Back-to-back: The color scheme is essentially reversed for Terrell's traded and flagship cards. The flagship card is No. 287 in the set and was originally blogged on April 29, 2014. The blog wants to speak now: The Music category is updated. -- "Detroit Tigers 1984: What a Start! What a Finish!" 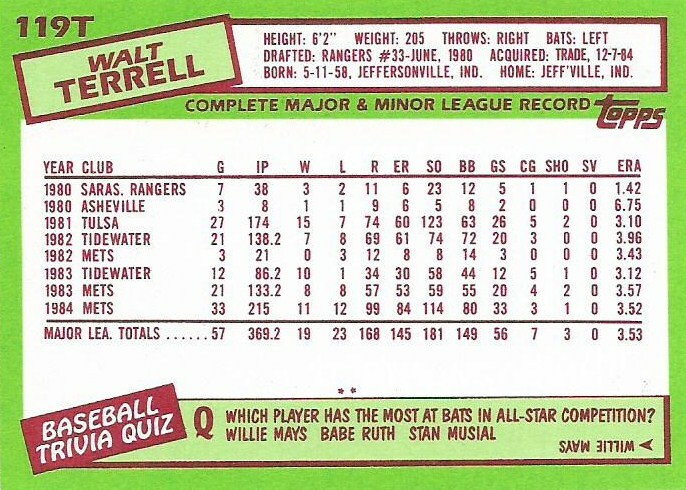 -- ESPN "Outside the Lines"
-- "The Gigantic Book of Baseball Quotations"